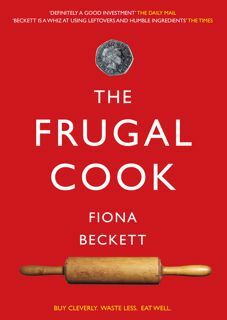 The Frugal Cook: Is it worth baking your own cakes? Baking your own cakes is considerably more economical than buying shop-made if by that you mean supermarket ones ones. Shop-made ones taste so chemically revolting and are so sweet that we won't eat them so it's a complete waste of money buying them :-) Besides - if I've made it then I know exactly what's in it, and I never use ingredients I can't pronounce!! I Agree .. Factory made shop sold cakes are revolting most of the time. but if you want to be frugal you just have to be careful what kind of cake you make and where you buy your ingredients. My fave is boiled fruit cake. So easy, so tolerant of sloppy mixing, it's a winner with my son too. I don't like shop cakes, either, not even here in France where they are primarily made of sickly mousse. I prefer to bake rather than buy, simply because I find most shop-bought cakes to be far too sugary for my taste. 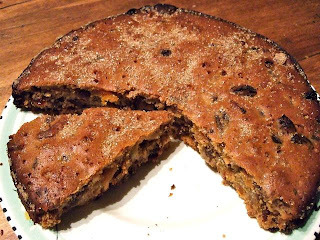 I almost always reduce the sugar content in fruitcakes by a third or even half, with no detriment to the taste. Well, I was being a little provocative but still - the cost of baking can mount up. And there are some decent shop bought cakes though I agree with you Frances and Claudine that they tend to be oversweet (but then some home-made recipes do too). Boiled fruit cake made with mixed dried fruit is a good cheap option I agree, Sarah. I remember I used to make barm brack regularly. Also has the virtue of using up leftover tea! You're also right Vanessa: the price of dried fruits also varies hugely depending on where and at what time of year you buy it. Health food shops - and particularly co-operatives - tend to be cheaper than supermarkets. I find that like for like, quality for quality, making your own is much cheaper. Properly made shop bought cakes are expensive, it's just the muck that is cheap. Frugality is about making the cakes that don't use expensive ingredients, the ones that last or get eaten very quickly, and bulk buying expensive ingredients when found at a bargain price. I am crowing because I found a kilo of glace cherries for a fiver this weekend so I can make cherry cake. Delish. Someone just told me they baked it using golden syrup, Verity so it obviously works well with that too. I reckon this cake might work with honey too - I've made my christmas cake now and OH prefers chocolate anyway, but I shall give this recipe a go in the NY. I think honey might possibly have too assertive a flavour given all the dried fruit in it but you're the baking queen, Verity. Give it a go! It is not only more cost effective to bake your own cake but you can always be sure about the components. Not to speak about the amazing smell around the house!